­­­­­­­­­­The school from the Educating Greater Manchester TV series that was rocked when its ‘inspirational’ head was suspended then quit has been put in special measures by Ofsted, who say it is ‘failing its pupils’. 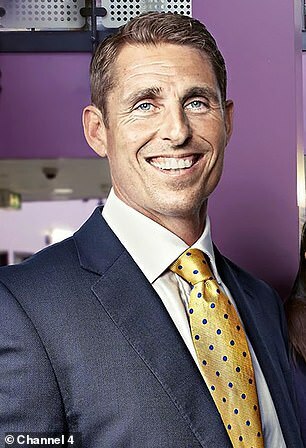 Drew Povey, who was head teacher during the Channel 4 TV series, quit in September after he was suspended alongside three other staff members due to ‘administrative errors’. The new Ofsted report was released on Monday and found Harrop Fold School, in Little Hulton, inadequate in all areas. Inspectors said the school is ‘failing its pupils’ and ‘significant and wide-ranging weaknesses have developed over time’ that require urgent improvement. An earlier report in 2013 rated it good. In his resignation letter two months ago, Mr Povey said he took full responsibility for the errors – which involved how attendance, exclusions and home schooling were being recorded – but claimed he had been unfairly treated. Speaking to the Manchester Evening News, he claimed he had been a ‘thorn’ in the side of Salford Council over the rising levels of debt he says the school racked up under its direction. ‘It’s fair to say that I’ve been a thorn in the side of Salford council since I became headteacher,’ he said. ‘I have not kept my mouth shut about the debt, or the impact of the debt on the kids, staff and community. Following the Ofsted report, council officials said the Department for Education (DfE) will now identify an experienced academy sponsor to support the school, which has 860 pupils aged 11 to 16. 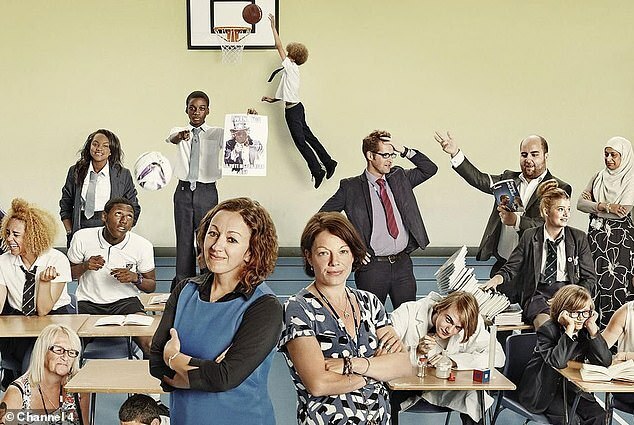 The Channel 4 programme Educating Greater Manchester was first broadcast in August 2017. Following Mr Povey’s resignation an interim headteacher, Damian Owen, was appointed, provided by the Greater Manchester Learning Trust. Ofsted said he has started to address the school’s problems. In a letter to parents published online, Mr Owen and councillor Kate Lewis, chairwoman of governors, said staff were disappointed by the report but determined to ‘improve the school rapidly’. 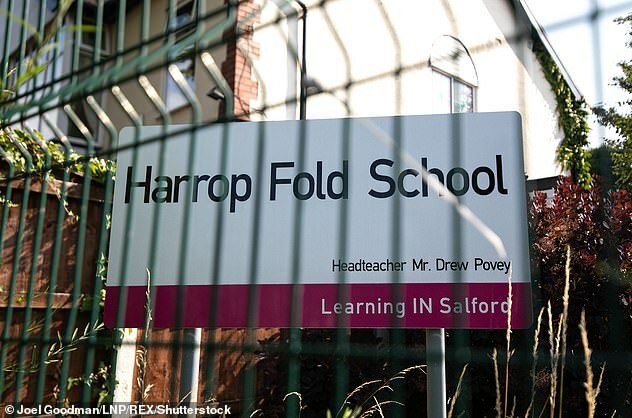 Salford deputy city mayor John Merry said the report identified and highlighted ‘unsafe historic practices’ at Harrop Fold school. He said: ‘Practices include the inappropriate, informal exclusion of pupils, deliberate mis-recording of attendance and weak practice in staff recruitment. ‘This has potentially compromised the safeguarding of pupils as leaders and staff have not been in a position to ensure that they are safe. Mr Merry added: ‘I know there is a committed and hard-working team at Harrop Fold who want to do the very best for pupils. ‘They should draw positives from the report, in which Ofsted says new approaches introduced in many aspects of school life are having a real impact, even if they are at an early stage. ‘It is important the whole school community gets behind the changes and works to common goals. ‘There has been a lot of speculation in the community regarding hidden agendas.